Obituary for Edward H. "Ned" Benton | Kenworthy Funeral Home, Inc.
Edward (Ned) H. Benton, 78, of Seven Valleys, PA died Monday, September 10, 2018 at his home. Born April 4, 1940 in the District of Columbia, he was the son of the late Browning L. and Hilda (Unger) Benton. 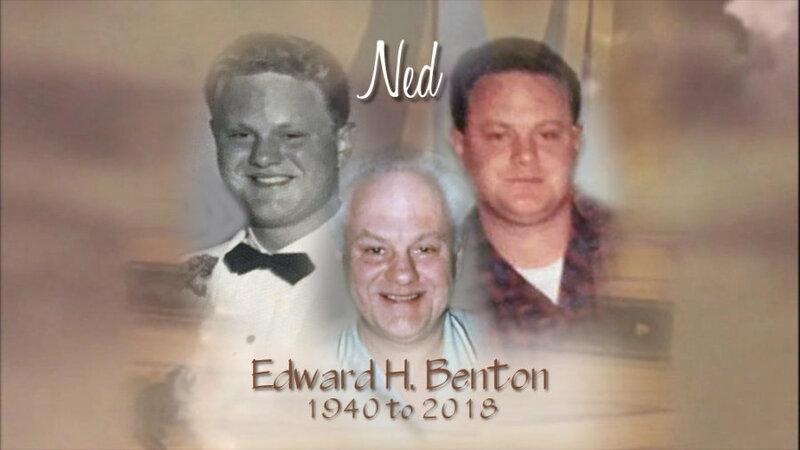 Ned was the companion of Gloria Miller, and the loving husband of the late Linda Jean (Simpson) Benton who died May 16, 2003. Ned was a 1958 graduate of Blair High School and attended Columbia Community College. He was a self-employed general contractor. Ned was a member of the National Rifle Association and Surviving Spouses. He took pride in building, educating and passing down his skills as a carpenter. He was a loving and family-oriented man. Ned is survived by his children, Cheri L. Palmieri and husband Mike, Jean M. Kehs and husband Brian, Edward H. Benton, Jr., Kimberley J. Benton-Pollard, and Michael J. Benton and wife Rena; twelve grandchildren, Nick and Michael Palmieri, John and Richard Wilson, David and Linda Benton, Christopher and Rhett Pollard, Britta Lipka, John Benton, Rachael Blinn and Lindsey Benton; four great-grandchildren, Cearra, Bayla, Kane and Lyla; one great-great-grandchild, Emrys; and a sister, Bobbie Jane Foley of Bradenton, FL. He was preceded in death by a brother, Billy Benton and a sister, Linda Weeden. A funeral service to celebrate and remember Ned will be held 10:30 AM, Saturday, September 22, 2018 at the Kenworthy Funeral Home, Inc., 269 Frederick Street, Hanover, PA. Burial will be in Mount Olivet Cemetery, Hanover, PA. A viewing and time to share memories with the family will be held from 2:00-4:00 PM and from 6:00-8:00 PM, Friday, September 21, 2018 at the funeral home. Contributions in Ned’s memory may be made to the Hospice Program of the VNA of Hanover & Spring Grove, 440 N. Madison Street, Hanover, PA 17331. The Kenworthy Funeral Home, Inc., 269 Frederick Street, Hanover, PA is assisting the family with funeral arrangements. Memories and condolences may be shared at www.kenworthyfh.com.